[By Nick, New for 2018, Target Exclusive] I sent Dubba these photos a couple of months ago when this flavor was first released. I was one of the first to find it and was so excited to be one of the first to review it. I definitely dropped the ball on this one. Ahhh life, what can you do? Better late than never, I suppose. So let’s skip the jokes about glamping and go straight into the review. The description alone had me sold when I was seeking this one out. It’s basically a sweet and salty take on the classic rocky road. 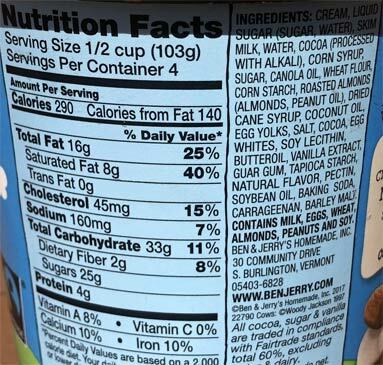 I’ve always have had a bone to pick with Ben & Jerry’s over their chocolate ice cream. On its own, it’s a fine ice cream. Rich, fudgy with the right amount of bitter to milkiness. However, it’s not a good ice cream to showcase mix-ins. The flavor is far too dominant and more time than none, it ends up overpowering most inclusions. That’s once again the downfall to this flavor. The marshmallow swirl stands no chance. Even with the generous amount of swirls in this pint, it’s hard to get any sort of marshmallow vibe. If anything, it just makes the chocolate less bitter and more sweet. The almonds, oh the poor, poor almonds. Their structural integrity is all they have going for them. The satisfying crunch gives you a change of texture but the flavor is just not there. Not sure if it’s the chocolate coating that helps dull it but you need to be really thinking about it to taste any nuttiness. Thankfully, the chocolate couldn’t overpower everything. The pretzel swirl is one of the best swirls Ben & Jerry’s has in it arsenal. It’s crunchy, salty, snack time goodness. The fact none of the pretzels were soggy was beyond impressive. 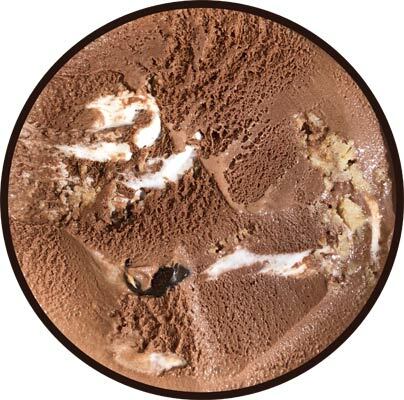 The swirl gives the chocolate base more depth and makes it a complete flavor. 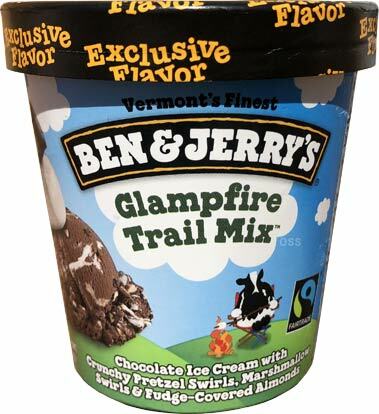 Honestly, they could’ve forgone the other mix-ins and added more pretzel swirl and I’d be a happy glamper. All in all, nice try Ben & Jerry’s for attempting to reinvent a classic. 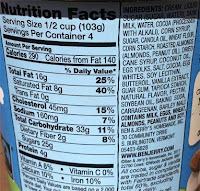 However, that chocolate base needs to be reworked or swapped for the milk chocolate base gracing Peanut Butter World pints. Dubba's Note: For the record, I'm with Nick about the base being too overpowering in this application. It's not as noticeable when both swirls are at full power, but a milk chocolate would have made for a much more fun flavor. Maybe they tried too hard to be different? Have to agree that the pretzel swirl is the saving grace of this flavor. Worked way better with the base than I thought it would. Maybe chocolate covered pretzels would have been a better fit than almonds, but the chocolate crunch does add a sort of "double chocolate" taste, which I like. I think this is the best of the new flavors. Target Exclusives are usually better than the regular line up. It’s been a long while since Ben and Jerry’s has come out with an incredible flavor.